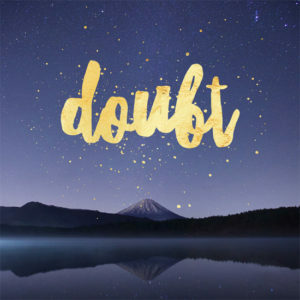 Do you doubt yourself? Are you good enough? Can you do it? Are you worth it? Well you are not alone. Whether these thoughts run your life or pop up only once in a while they are common in most people. We are not taught to celebrate our greatness (very un-British) our uniqueness (heaven forbid) and our far ranging talents that can be utilised in the pursuit of helping others whilst fulfilling our own hearts’ desires. So how do you set yourself free from holding yourself back with self-doubt or any other detrimental thoughts or behaviour? First of all recognise what is going on. What do I mean by this?! We cannot change a situation unless we realise that we are ‘in a situation’ (exchange this for cycle, mood, thought, pattern etc., as appropriate) that really doesn’t serve us. So awareness is key. Yes I hear you cry, but how do you become aware? If you are feeling out of sorts then you are already aware that something is not right in your world. So simply ask yourself how do I feel? The important thing here is to be completely honest with yourself. If you pretend or ignore your true feelings then nothing will change. This is not an opportunity to be critical or judge yourself this is simply an exercise at recognising where you are since ‘awareness precedes change’. So, assuming you have been totally bodacious and come clean with yourself (you may find that writing your thoughts and feelings down helps massively with this process) it’s time to look at what’s going on. Imagine you are with a dear friend you care very deeply about. Imagine that these are their thoughts and feelings. What would you say to them? How would you speak to them? I am assuming you would approach your friend with love, kindness and compassion… It is time to extend the same behaviour to yourself. Now look at what you can learn. This is an opportunity. It’s an opportunity to keep thinking the same thoughts and feeling the same feelings or you can choose something different. Do you really believe those self-sabotaging thoughts about yourself? If you do get help. Find a course, a book, a counsellor or whatever you are guided towards. You do not need to suffer – that in itself is a choice. So if you need some help go ask for it and get it. Asking for help is a sign of strength – contrary to what we are often taught! If you recognise these thoughts as just a habit let’s create some new healthy ones. What would you like to think about yourself – seriously? What is the grandest version of the greatest vision of you, you have ever had? Allow yourself space – space to dream, to think big to step in to the magnificent human being that you truly are. In the words of Marianne Williamson ‘Your playing small does not serve the world’. Is it time to change your mind? It is time to stop hiding. To embrace your talents and desires and to shine. Whatever your beliefs you are only in this particular physical body the once so let’s get on with it and have some fun while we are at it. Create yourself anew and go follow your dreams. And if you don’t know what they are listen to your heart, day dream, meditate – whatever it takes to listen and hear that inner voice, the whisperings of your soul that truly believes in you and knows what you are capable of. I believe in you for you are the same as me. You are magnificent in your own perfect uniqueness. I see you for who you are. And who you are is amazing. Peel back the judgement, the self-doubt, the criticism and see yourself through the eyes of love. Allow yourself to be free. To be free to embrace the now, the reasons you already have to be grateful and the joy that is available to you right now. For joy is your true nature it is who you are.